BACK ON THE MARKET! MOTIVATED SELLER.Ready to move in! Beautiful 4 bedroom 3 full bathroom home, located in the exclusive Cypress Lakes community. The thoughtfully designed floor plan offers a 3 car garage with a 3 foot extension to accommodate larger vehicles, a split floor plan, separate living and dining room areas and a screened in back porch. Other features include a spacious kitchen with Silestone counter tops, brand new stainless steel appliance, breakfast bar overlooking the large family room, 42â cabinets, as well as a separate eating space. The master bedroom features vaulted ceilings, sliding doors that lead to the back porch, his and hers closets, a large master bathroom with separate sinks, beautiful Jacuzzi bathtub and separate shower with two shower heads. The exterior and interior freshly painted with Sherwin Williams highest grade paint, brand new carpets and laminate wood flooring! Cypress Lakes main recreational facility features a luxurious clubhouse, with a beautiful rental room that includes a kitchen and outdoor patio, fitness center, 4 tennis courts, playground, a resort sized pool and kiddie pool. A second recreational area includes 2 basketball courts, junior soccer field, and playground, walking trails and ponds with sitting areas. 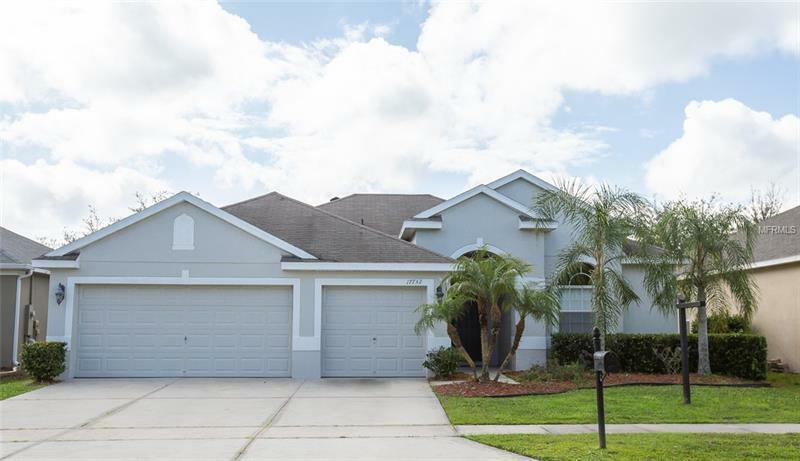 This home is very centrally located and is close to Highway 50, 408 East-West Expressway, beaches, UCF, dining and shopping.